**FREE CARFAX AT GENTRYMOTOR.COM**, ***3RD ROW SEATING***, ***AUTO START FEATURE***, **REAR BACK UP CAMERA**, **ALL WHEEL DRIVE**, 8-Way Power Driver Seat w/Power Lumbar, Auto-Dimming Inside Rear-View Mirror, Bluetooth® For Phone, Body-Color Bodyside Moldings, Body-Color Heated Power-Adjustable Outside Mirrors, Bose Premium 10-Speaker Audio System Feature, Enhanced Driver Information Center, Front Fog Lamps, Frontal & Side-Impact Airbags, Heated Driver & Front Passenger Seats, Interior Wood Grain Center Stack & Interior Trim, Leather-Wrapped Steering Wheel, Preferred Equipment Group 2LT, Rear Audio System Controls, Rear Park Assist, Rear Power Liftgate, Remote Vehicle Start, Tri-Zone Automatic Climate Control, Universal Home Remote. 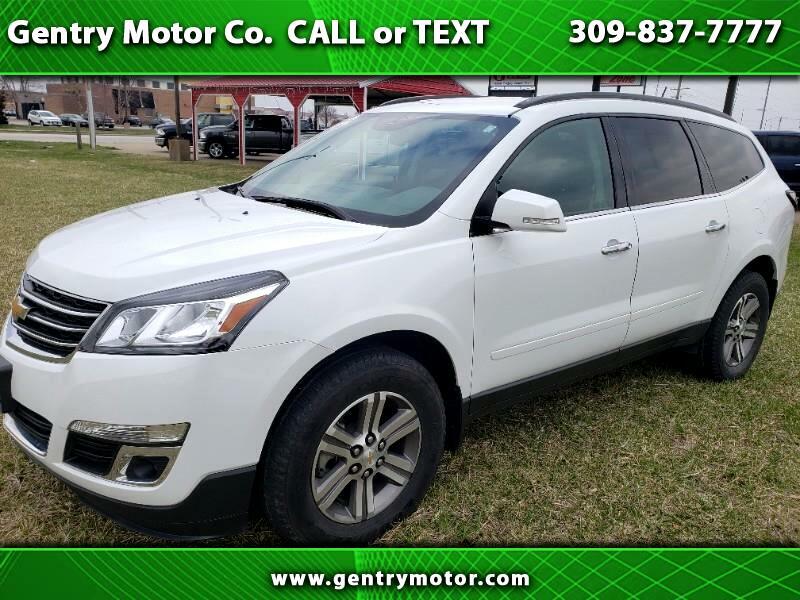 Summit White 2017 Chevrolet Traverse Clean CARFAX. Helping your Friends and Neighbors everyday Since 1989! Make YOUR Deal Today!! !